Preheat oven to 450° F (230º C). Roast garlic on a small piece of tin foil for 15 to 20 minutes until slightly browned. Mash garlic with a fork and combine with remaining ingredients. Spoon mixture into a shallow baking/serving dish. 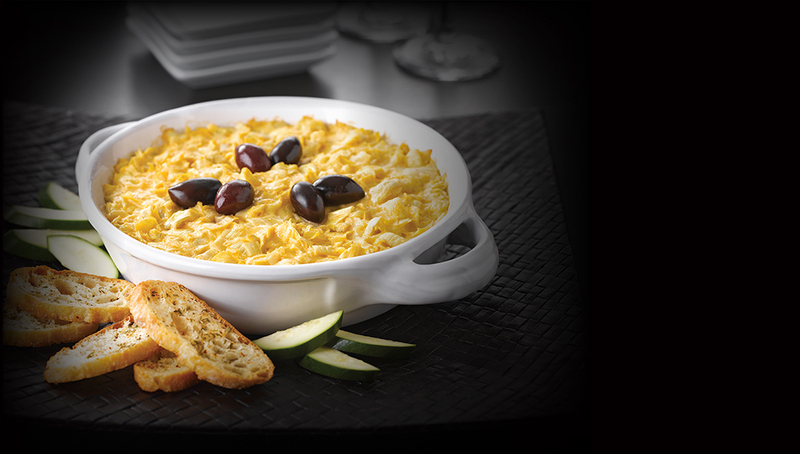 Arrange olives in a circular pattern in the center and bake for 15 to 20 minutes or until cheese is melted. Serve with diagonally-sliced baguette or water crackers. Water-packed artichokes work best but marinated will do.